William D. Kent, a native of St. Petersburg, is the President and CFO of George F. Young, Inc., which was established in St. Petersburg in 1919. George F. Young, Inc. is a full service-consulting firm that Civil Engineering, Traffic Engineering, Environmental Engineering, Subsurface Utility Locating, Landscape Architecture, Planning, Surveying and Mapping, Hydrographic Surveying, GPS/GIS, Environmental/Ecological and Commercial Real Estate services throughout Florida and the Caribbean Basin. Bill graduated from the University of Florida in May 1990, with the degrees of Bachelor of Science in Business Administration and Associate of Arts. Bill took the leadership and full responsibility of the firm’s accounting department, while concurrently maintaining his position as Chief Information Officer responsible for the Administrative and Technical Corporate Information Systems. 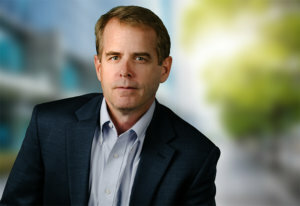 In December 2000, he attained the position of Chief Financial Officer of George F. Young, Inc. and it was through his unremitting dedication and commitment to the long-term growth of the firm that in June 2003, Bill Kent was additionally appointed to President of George F. Young, Inc.
Today, Bill Kent is heading George F. Young, Inc. in the direction of continuing the tradition of high professional standards, integrity, quality and service while turning clients’ visions into reality instilled by its founder. 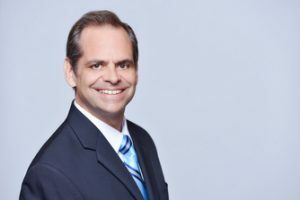 His management responsibilities and skills, coupled with his superior ability to lead, give focus and sustainability to the future of George F. Young, Inc.
Christopher Steinocher is President and CEO of the St. Petersburg Area Chamber of Commerce. He joined the Chamber in February of 2011 and is responsible for the vision, strategic direction and overall operations of the Chamber. Prior to the Chamber, Mr. Steinocher was with the Tampa Bay Partnership as COO and Senior Vice President of Marketing and Business Development, a job he held for 17 years, helping start the regional economic development group. Mr. Steinocher was also the AVP of Marketing for Fortune Bank, a Tampa Bay based bank with 46 branch locations throughout He has over 33 years of experience in marketing and community development, 31 of which have been in the St. Petersburg region. He holds a Bachelor’s degree from Emory University. His current post is a coming home of sorts for him as he was employed at the Chamber over 29 years ago. He’s been a resident of St. Petersburg for over 30 years along with his wife, Juli. They are the proud parents of two boys. His professional goal with the Chamber is to ensure this city does everything it can to be so attractive to his two boys that they’ll never want to move to another market – (after all, isn’t that every parents’ desire?!). His personal goal is to be the starting 2nd baseman for the kids & kubs softball team in the year 2039.